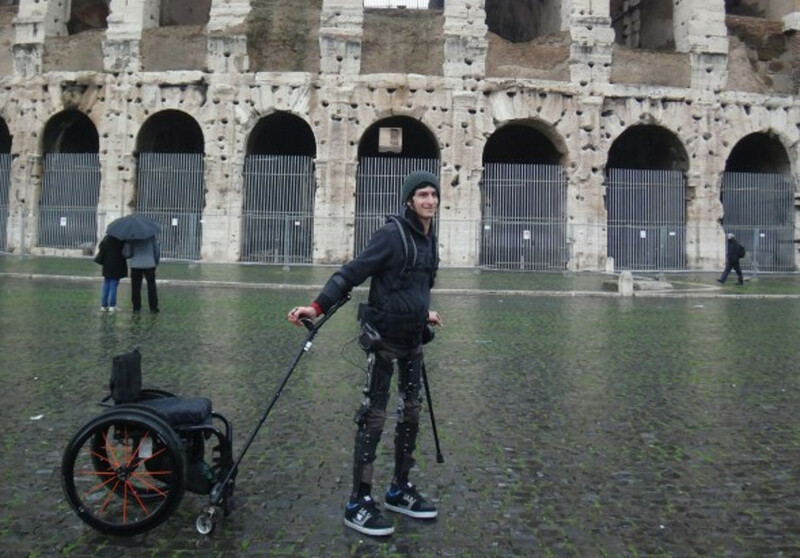 Steven Sanchez was paralyzed from the waist down after a BMX bike accident that occurred 10 years ago, but now he can walk again with the help of a robotic exoskeleton aptly named the Phoenix. Developed by California-based SuitX, the Phoenix can be used by adults but was originally designed to help restore mobility to children with neurological disorders that make walking unassisted difficult or impossible. The custom-fitted smart suit is now on sale for around $40,000. The Phoenix is available for purchase at a price of around $40,000. That’s a lot of money to most people – enough to buy a mid-size sedan – but in the world of medical equipment, it’s practically chump change. At 27 lbs, the Phoenix is also not the lightest prosthetic, either. 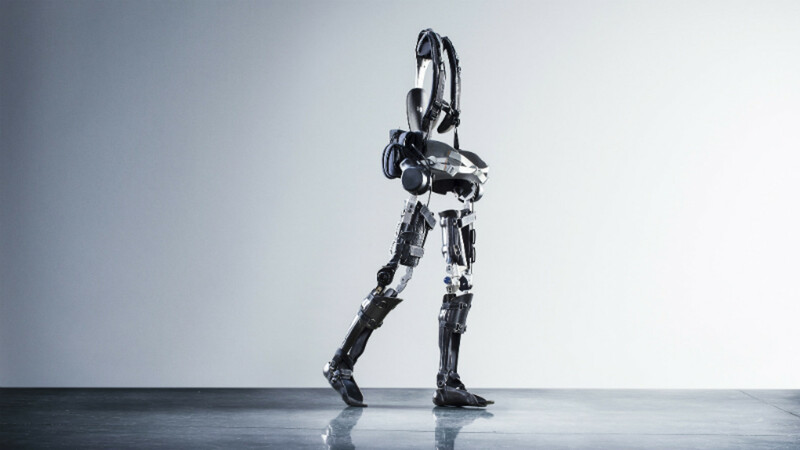 But it does have a host of features that make it unique when compared to similar exoskeletons; it’s modular, so it can be adapted for people with one-sided paralysis, and it can be fit to folks of all sizes, from children to the tallest basketball player. It’s also the only robotic exoskeleton available to the public that can do what it does: restore mobility to the paralyzed. Related: Could this new spinal implant someday help people with paralysis walk? The Phoenix, which is powered for up to eight hours by a battery pack the user wears, is the culmination of years of research and testing that began at University of California-Berkeley’s Robotics and Human Engineering Laboratory. Sanchez has been involved for some time, having donned an earlier prototype of the robotic exoskeleton in 2012. That test marked the first time he was able to walk following his accident. The SuitX team hopes the Phoenix will offer the same experience and freedom for many others. 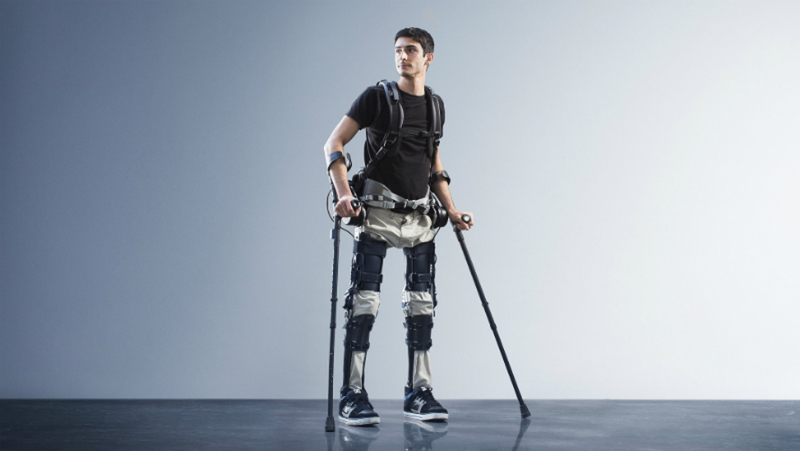 The SuitX Phoenix robotic exoskeleton restores mobility to the paralyzed. Steven Sanchez walks with the help of the Phoenix, some ten years after a BMX accident left him paralyzed from the waist down. The Phoenix is on sale for $40,000.